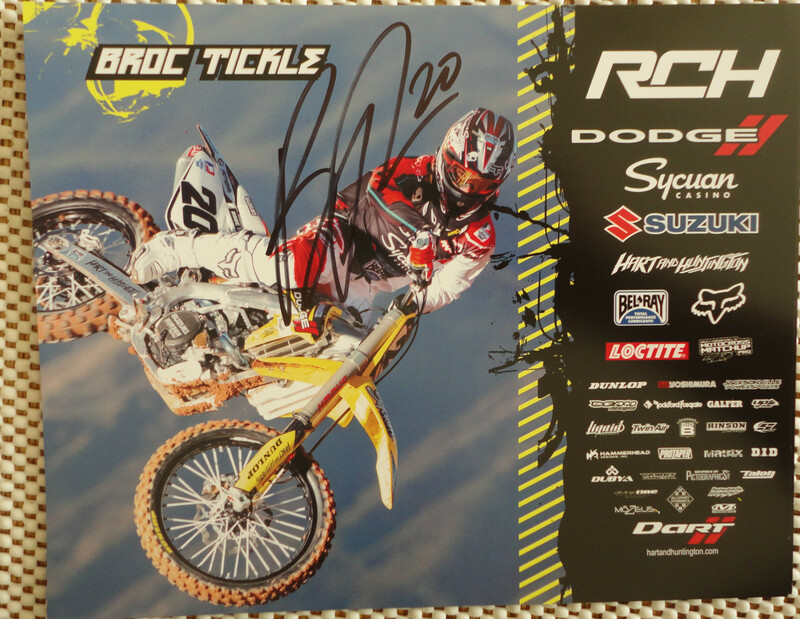 8x10 promotional photo autographed in black marker by motocross and supercross rider Broc Tickle. 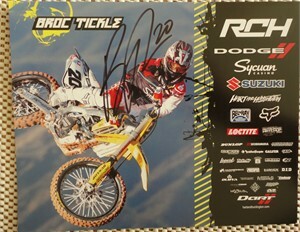 Obtained in person at 2013 AMA Supercross promotional appearance. With photo from the event and certificate of authenticity from AutographsForSale.com. ONLY 3 AVAILABLE FOR SALE.